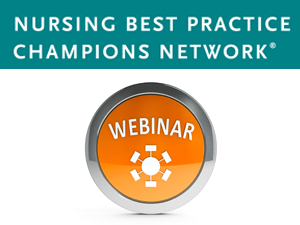 This presentation highlighted the role of the champion as it relates to supporting practice change through all levels of the knowledge-to-action framework. Strategies used by champions at Perley Rideau were discussed including: applying knowledge from champions training, advocating for best practices, and being a leader in practice change. The presenter also discussed some case studies from the perspective of a RPN and PSW champion at Perley Rideau.